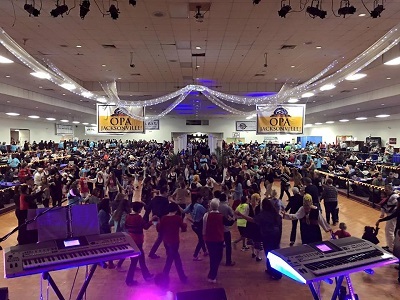 The 2019 Greek Festival is fun for the entire family. We will have Greek food and entertainment for all ages. If you want to relax and enjoy the sites and sounds of Greece with traditional Greek music, we will have live entertainment by the Odyssey Greek Band and our very own Ta Adelphia Dance Group. If you are coming for the Greek food and dessert you will not be disappointed. If you want to shop we will have vendors displaying everything from souvenirs from Greece, to handmade crafts and much more. You can also participate in Greek Folk Dancing and have a true cultural experience. Whether you are a kid at heart, or if you will be bringing your children to the Greek Festival we will have plenty for all to do. 3800 St. Johns Bluff Road S.
© 2019 Jacksonville Greek Festival. All Rights Reserved.